Although he was born in Rainhill by the time of enlistment, William was living at 2 Cumber Lane, Whiston with his Uncle and Aunt. His profession was given as a miner at Lea Green colliery. Records show that in 1912 he joined the Territorial Army Reserve which had been reformed in 1908. He joined on a four-year contract so that in 1916 he was discharged having completed his "term of engagement" even though the War was still going on. He was demobilised at Maidstone Barracks in February 1916. William lived in one of the cottages on the above map. 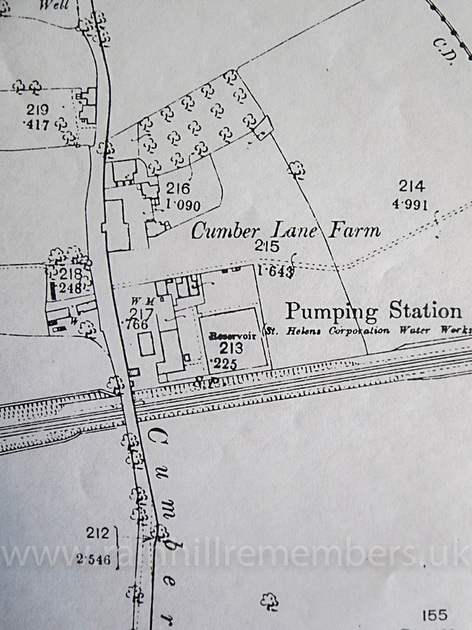 The hamlet was situated just north of the Liverpool to Manchester railway line, west of Rainhill.